Please have a listen to the playlist I’ve been listening to today, and most of October 2011. 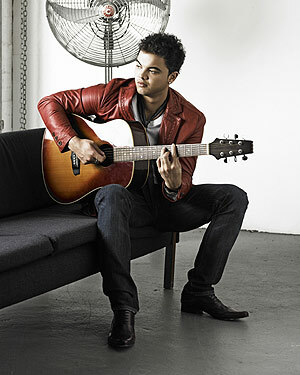 Guy Sebastian is certainly not new to the music scene but it’s quite possible that this is the first time you are hearing his name. 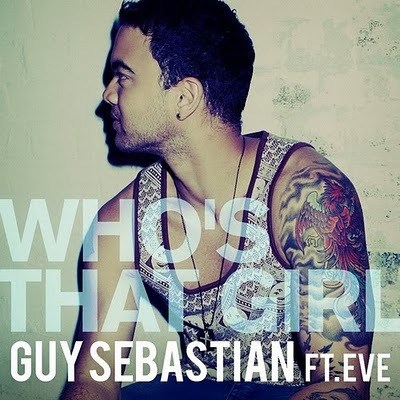 I stumbled across his newest single, ‘Who’s That Girl’ via Twitter earlier this week and have had it on repeat ever since, (the song not to be confused with two of the latest top 40 hits “Who Dat Girl” by Flo Rida or “Who’s That Chick?” by David Guetta and Rihanna). In 2003 Sebastian was crowned the first winner of Australian Idol. I know for the most part people don’t accredit winners of talent shows as true musicians/artists however its hard to ignore that once in awhile these shows pump out some high selling acts. Here in the states we have Kelly Clarkson, Jordin Sparks, and the extremely talented and marketable, Carrie Underwood. I can’t say that I have kept up with other countries versions of the show but what I do know is that Sebastian is the only Australian male artist in Australian music history to achieve five Number 1 singles. His sound is very much comparable to Bruno Mars. The new track, ‘Who’s That Girl’ features American rapper, Eve. I have always loved Eve and I think it’s a brilliant move for him to collaborate with American artists to promote his music. It’s only a matter of time before this song goes viral. Not sure how I feel about the video but it’s the catchiest song I have heard in quite awhile so check it out for yourself. Diesel Black Gold released this video of their menswear collection which features the music of UK electro-indie rock band These New Puritans. Diesel Black Gold’s video features male models exuding that detached coolness they’re probably born with while lazing in a white room where the ghost of a woman wanders around as well in like a parallel white room universe. Original, yes; over the top, come on – it’s Diesel. I’m anxious to see how much publicity this little video gives the Italian brand.